Ever wondered when would be a great time to plant a garden you can harvest in the cold of winter? Now! Believe it or not, from now till mid-summer is the ideal time to plant seeds for your fall and winter garden. 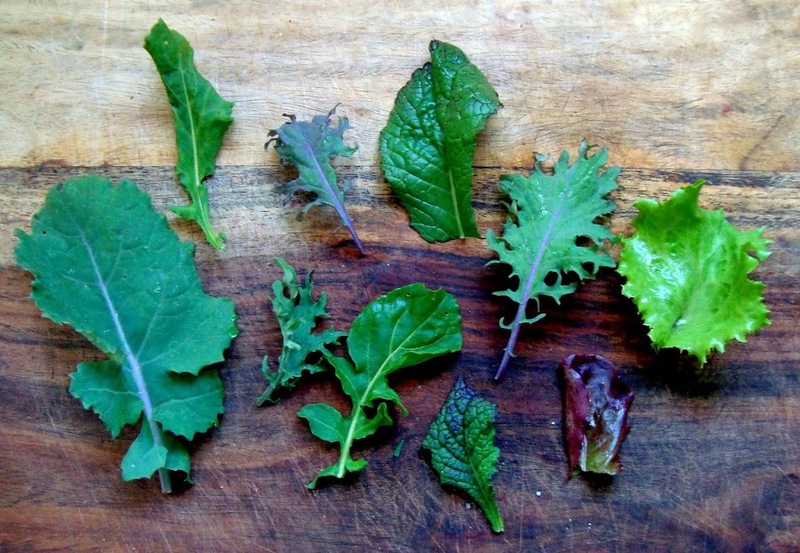 If growing a winter garden has piqued your interest, then read up on how to best grow varieties you would like on your winter table. It will be wise to do some research and even check in with your local extension office, as not all varieties will want to be grown now and some will grow better in the fall and others in the spring. 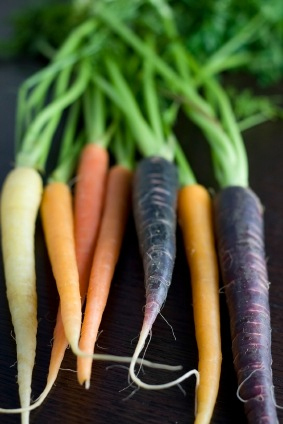 As your spring garden begins to wane and more space becomes available in your garden beds, now would be a great time to begin selecting your favorite cool loving vegetables. Think Brussels spouts, cabbage, kale, carrots, beets, Swiss Chard, broccoli, lettuce, cauliflower, celery, radishes and many more! Keep in mind that protecting your plants from the heat, during the summer months and then protecting them from fall and winter frosts will be the key to a successful winter garden. Integrating cold-frames, row covers and clotches might be the perfect solution to extending the seasons and protecting your crops. When deciding what to plant, think of the varieties that take the most time to mature and plant those now, while plan to seed those varieties that are fast to mature and plant those later in the season. Take into account the amount of time needed before transplanting and harvesting, this in addition to, noting plants sensitive to frost is something to consider. Lastly, taking into consideration fall factor is key to success! Fall factor represents the change in pace plants take as they move into the dark of the year. It is important to take extra care of your seedlings as they emerge. Keeping them in areas that hover around 85 degrees or below is important to make sure they are not being scorched. Some of our mini-micro climates in our yard or patios can quickly reach high temperatures. An easy solution would also be to start your seedlings inside and transplant after they have reached about an inch or so in height. Keep in mind that mulching your garden beds now, like any other time, is only going to benefit water retention, weed suppression, added organic matter and enhanced fertility. Succession planting is another excellent planning method to help you arrive at a continuous harvest. Keep track of your planting days on your garden calendar or journal. Keeping good notes, year after year, will ensure that you are learning from your mistakes and making the most of each season! Take the opportunity, our entire inventory is 35% off till July 7th, 2015. Use the coupon code: “SUMMER”. Save Water Plant a Garden! California is in its 2nd year of a historical drought. Although,our state has naturally moved through cycles of drought and abundant rain, over the past many decades, its still disconcerting that we have not had a storm for a couple of months. Gardeners, farmers and concerned citizens a like are taking drastic measures for conserving water from tearing out lawns to integrating water saving technology and even abstaining from planting their spring gardens. Unfortunately, the latter does little if anything, to actually conserve water. Those choosing to refrain from putting a garden in are generally still purchasing the same produce, they would be growing, from a supermarket. Big ag accounts for 70% of the world’s water use and much of that is wasted in inefficient practices. Some of those practices include overhead watering, washing produce before and after shipping, transporting food across state and international borders and disposing of food aesthetically not marketable. With new emergency water conservation regulations, set by the State, Californians are feeling the need to not plant a garden. Yet, a home gardener and even a small-scale farmer can grow food efficiently, while using a minimum amount of water. Integrating simple solutions can make the difference between enjoying fresh garden veggies out of the garden or compromising for store bought. Consider heavy mulching, planting more drought tolerant varieties, experimenting with dry-farming, use smart watering strategies, reuse shower and cooking water to irrigate, use intensive planting practices and plant varieties with similar water needs together. 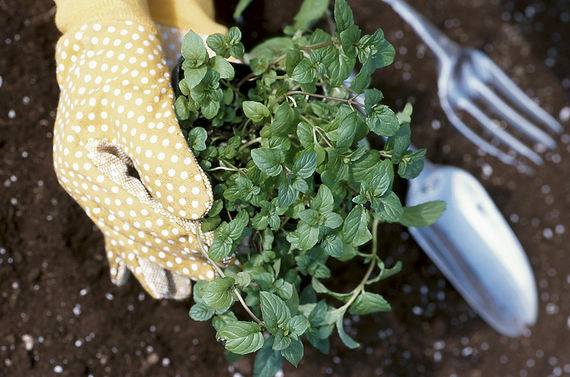 Eliminating weeds, may seems like gardeners’ protocol, but many gardeners also make peace with their weeds and use a more zen approach to plants that are in the wrong place. But the reality is that some weeds, like lambs quarters and crab grass, are responsible for consuming 80 gallons of water to create 1 pound of plant tissue – that is a staggering number! Integrating weed control with heavy mulching can go a long way in water conservation tactics, conserving as much as 1 inch of water per week. By integrating low-tech water saving technology in homes, such as low flow showerheads and aerators and expanding that to the garden with low-flow watering wands, rain barrels and drip irrigation, saving water while having a thriving garden couldn’t be easier. Best of all California is offering a lot of financial incentives for water conservation. By growing your own food you can control the amount of water used and limit water waste. By doing a little research and some minor adjustments, gardeners can still grow an abundant garden year round! Best of all dry farming practices add more flavor while using drastically less water – what a concept Less water more flavor! All these simple practices can make a big difference in the bigger picture. It’s now all of our responsibilities to conserve every drop! do or don’t do now, will be reflected in your garden next year. For many of you, your fall/winter garden may just be part of your annual garden cycle. Either way, this is the time of the year to work on your soil, clean up beds, cut-back blackened stems and foliage and dead-head flowers. All this, helps prevent the possibility of harboring disease pathogens and insect eggs, over the winter. Another simple tip on preventing spreading pathogens is simply by not leaving the hose nozzle on the ground! As winter approaches, there are many preparations to do in order to put your garden to bed, until late winter. Weed, weed, weed … by stopping weeds from spreading now, you will save yourself a lot of backache come spring. Since the ground is moist, weeding couldn’t be easier. 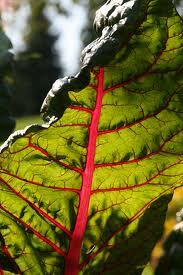 While weeding, make sure that the root structure of your winter garden is not being compromised. Once your beds have cleared, adding leaf mulch, specifically oak leaf, would be ideal. Avoid redwood, eucalyptus, bay and pine leaves for their acidic content. Cover your beds with 6 inches of lightweight mulch and fork that in a bit. For added nutrients, add compost underneath and work it in before adding the leaves. This thin cover will serve as the ideal winter layer to protect your plants, soil and roots. Though our ground does not freeze, this extra layer will begin breaking down and become organic matter for your spring and summer plantings. As you are cutting back and dead-heading, this is an optimal time to work your compost pile. Remember to not throw in weed seeds or anything that may be diseased. Hot, active piles kill weed seeds and disease pathogens, but you need to have a compost thermometer to be assured your pile reaches 150 degrees or beyond. A great way to add more organic matter to you soil is by cutting the annuals at their base and leaving the roots there to decompose over the course of time. Snip off the seed heads and sprinkle them around your garden. This is a great time to propagate and divide perennials, but remember to wait until the first frost to cut back your perennials to soil level. How is your soil? The more fertile and aerated your soil is, the more hydration it will be able to receive. Know the texture of your soil, what it is made of, its structure and how it behaves. Knowing these qualities will help address the needs of your soil. With all the rain we have been receiving, it behooves us to be able to prepare our soil to receive as much moisture as possible. Adding mulch and wood chips can significantly help prevent runoff and erosion. As the rains come down observe how the water travels in your yard, garden and around your house. Slowing water down while sinking it into the water table are ideal methods to maximize water penetration into the earth. Integrating burms into your landscape is a more project intensive solution, but could offer an excellent solution to direct and sink rainwater into the ground. Keep in mind that working deep into the soil, while it is still very wet, can be destructive to the soil structure. Wait until the earth has dried before starting any project. Rain barrels are another easy way to collect all the water that we are receiving these days. They are easily found and simply to install. If you are handy, you can build one out of a range of materials. These days are perfect to set the stage for a beautiful spring and summer garden to come! The Living Seed Company is an organic and heirloom seed company based in Point Reyes Station. As a Bay Area seed company. 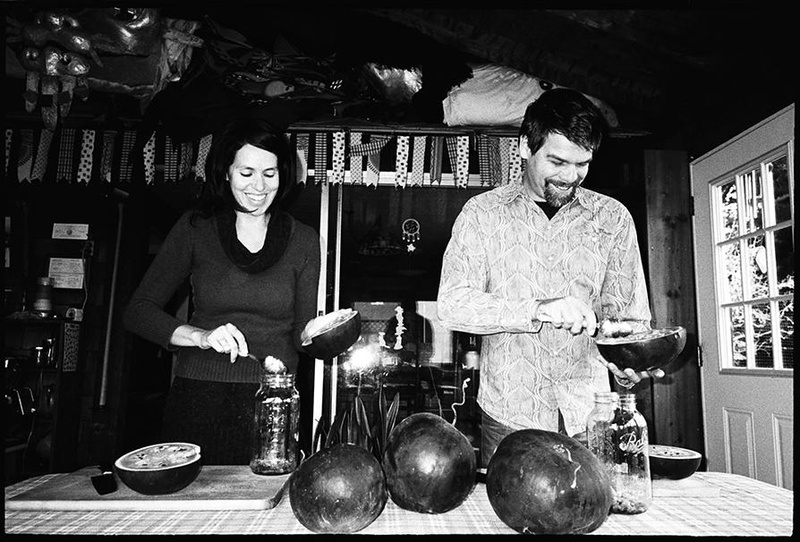 BUSINESS: Astrid and Matthew Hoffman began growing and selling heirloom seeds through their business, the Living Seed Company, in 2011. The former interior designer and puppeteer met at the Solstice Grove Institute in Nicasio, where they butted heads before teaming up. The Living Seed Company is a local seed growing and vending business and online retailer that the Hoffmans created in 2011 to support themselves as a family and to promote sustainable seed-saving practices. The company also runs seed-saving education workshops and donates seeds to schools, farmers markets, libraries, correctional facilities and community gardens. At the operational level, Astrid is in charge of the company’s in-house responsibilities: day-to-day administration, accounting, marketing, public and vendor relations. Matthew oversees the entire seed production, which encompasses the half-acre backyard load and two larger sites at Black Mountain Ranch. Aside from saving seeds from their local stock, the Hoffmans coordinate with other growers along the West Coast and with some in the Midwest. The couple selects sources from a cream-of-the-crop vendor list that was given to them by a mentor whom they met while attending a weeklong seed school. Living Seed is one of many regional seed growing organizations that have signed the Council for Responsible Genetics’ Safe Seed Pledge, by which buyers and sellers agree they will not knowingly trade in genetically modified or engineered seeds. Founded in 1983, the nonprofit council conducts research on genetics issues and provides a network for the non-G.M.O. seed market. High-profile G.M.O. corporations like Monsanto have attracted media attention by their fierce lobbying to control product labeling rights and make it harder for the general public to know whether or not their food has been genetically modified. Meanwhile, since the 80s and 90s, these companies have slowly swallowed up small bioregional seed companies and, in doing so, have greatly reduced seed varieties. Unlike companies that produce hybrid G.M.O. seeds, Living Seed only sells what are known as “heirloom” seeds. All heirloom seeds are open-pollinated, which means they grow to produce offspring similar to their parent plants. This practice plays a key role in seed-saving techniques that, according to the Hoffmans, could over time restore seed variety, resilience and security. Like the seeds they grow, the Hoffmans have also had to adapt to changing conditions. The two met at the Solstice Grove Institute Program, a long-term environmental residency in Nicasio, where the couple butted heads at first but eventually found themselves talking about marriage and raising a family. The couple hopes to one day teach their children how to grow seeds, keeping the cycle of seed farming alive in West Marin. To date, the Hoffmans have financed Living Seed through a variety of their own funds and loans from family and friends. Now, the company is in the midst of a two-week Kickstarter campaign (which was chosen as staff pick by Kickstarter within five minutes after launching). The Hoffmans have until Dec. 17 to raise $15,000. Funds raised will go toward updating the seed packet image and revamping the website’s shopping cart feature, as well as streamlining office functions so that both Hoffmans can spend more time growing and breeding local seeds. As your spring garden begins to wane and more space becomes available in your garden beds, now would be a great time to begin selecting your favorite cool loving vegetables. Think Brussels spouts, cabbage, kale, carrots, beets, Swiss Chard, broccoli, lettuce, cauliflower, celery, favas, leeks, mustards, radishes and many more! If you live in areas where temperatures reach around the late 90’s and early 100’s, in the summer, it is important to take extra care of your seedlings as they emerge. Keeping them in areas that hover around 85 degrees or below is important to make sure they are not being scorched. An easy solution would also be to start your seedlings inside and transplant after they have reached about an inch or so in height. Every week we are going to introduce a Seed of the Week, where we are going to select one seed to highlight. We will share the historical attributes, the story that makes this variety an heirloom and why we love it so much! 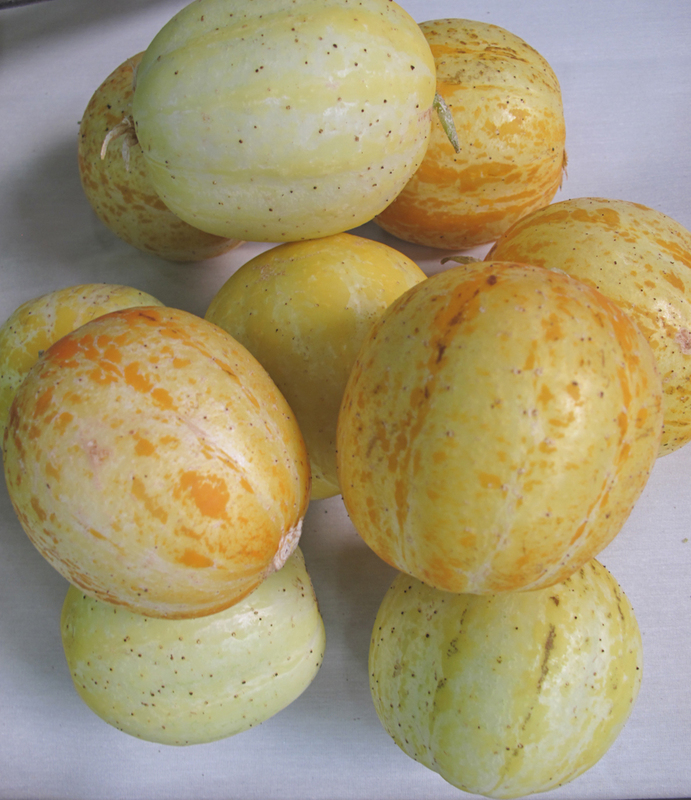 This unique, pretty cuke is prized by gourmet chefs for its delicate flavor and crisp flesh. Deriving its name from its yellow skin, shape and size. An old heirloom that is sure to still please the discriminating cucumber lover and is easy to digest. This one is easy to grow, works well in containers, and is extremely productive. Best when harvested young. Great for slicing, salads, on sandwiches and makes delicious pickles! The Living Seed Company believes everyone should have access to vital, pure, open-pollinated seed varieties and through their The Giving Seed Program, seed donations have been sent to Haiti, India, Africa, Europe, South America and throughout the United States. 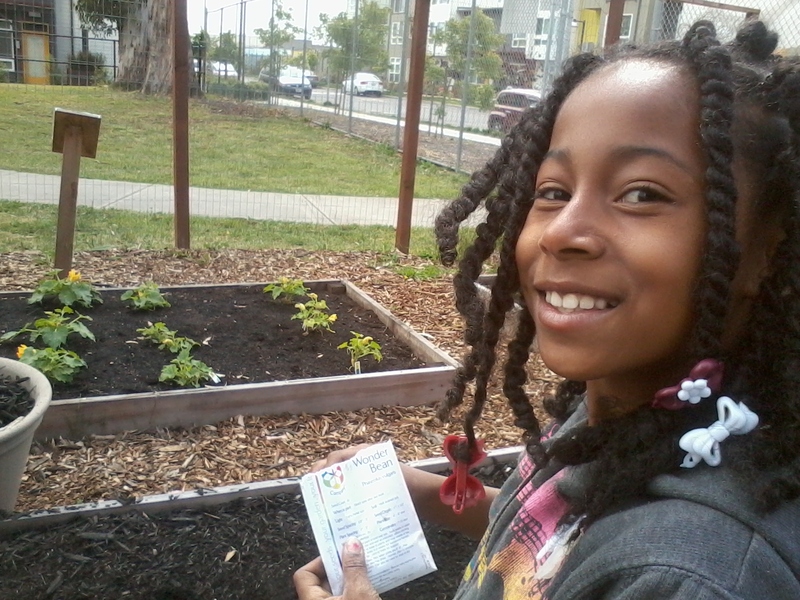 Over the past three years, The Giving Seed Program has given away over 4,000 packets of fresh heirloom seeds to school garden programs, inner city youth programs, community gardens, seed libraries, food banks, correctional facilities, veteran programs and others. The Living Seed Company also covers the cost of shipping. We take recommendations for seed donations, feel free to email us at info@LivingSeedCompany.com. Interested in donating to our program? 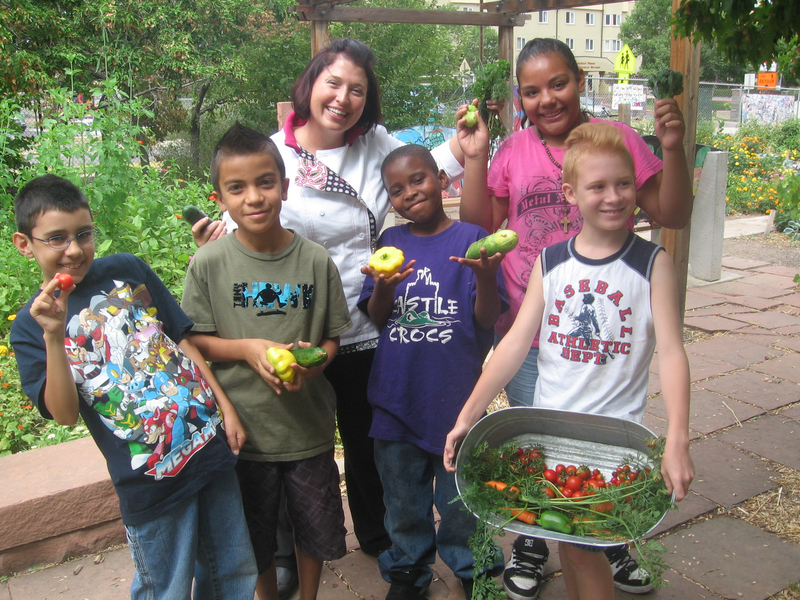 The Giving Seed Program began with a vision to give back to our local, national and global community. We kicked it off with donating a collection for every ten collections sold. Today, aside from giving away collections, we are also giving away individual packets suited to particular growing regions and community needs. The Living Seed Company also gives out Basic Saving Booklets to encourage and support communities saving seeds and adapting them to their bio-regions. 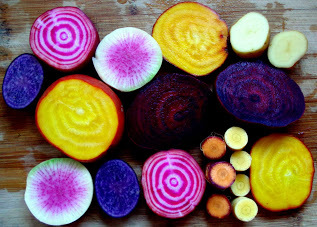 The world of seeds can be a cornucopia of information, images and wild descriptions, almost all with promising results. Unfortunately, for most novice gardeners, it can be very misleading and frustrating. How can you tell if a seed company is good or not? Simple, if you can call them and have them provide you with where their seed crops have been grown. Most small seed houses would be more than happy to provide such information, as it proves that the consumer is going the extra mile to ensure where their seed source truly comes from. You will be surprised to learn that not many seed companies grow their own seed, which leaves the consumer to trust each company for providing seed that has vigor, traits and characteristics signature to each seed. Today, you can find prices for a packet of seed, start at a modest 99 cents and reach upwards of $8.00. So what is the difference in that large gap? Most seed, sold economically via big box retailers is usually grown in Asia. Which means, it is already adapted to a region, soil type and water source, that is completely different from what you have at home. Their organic standards may be something to question, as well as their labor practices and environmental impact, among other things. Despite federal germination standards, inexpensive seed has lower germination. Although this may or may not be due to the quality, it often has to do with how the seeds are stored and transported, before it makes its way into a garden. Seeds are living breathing embryos and conditions that are too hot can inevitably kill the seed before it has even had a chance to germinate. At the turn of the 20th century, the United States was full of regional seed houses covering the country from coast to coast. In the 80’s there was a huge consolidation of the seed industry when large pharmaceutical and big ag companies bought out many of these family owned businesses. This not only reduced the available genetic stock to gardeners and farmers, but began to tip the scales heavily, in a direction that did not favor biodiversity, preserving genetic stock, seed saving or family farms. This has caused a dichotomy in the world of seeds and available food varieties, but with new seed houses sprouting up again, things are changing and rare and unusual varieties are becoming the vegetables and fruits of choice. Most importantly, consumers are becoming more aware of what to look for in their food, what questions to ask their farmers and now, how to choose from a reputable seed company. Not all se ed is created equal. A seed may have the same variety name, as seed from another company, but the quality in its traits may be vastly different. Just imagine the difference in how a small farmer vs. a large farmer will have the ability to pay attention to his fields and truly choose crops that are only of the highest quality. The purity of a seed variety is only as clean as the attention paid to that crop. More awareness among gardeners and consumers, alike, are realizing the importance of supporting small family farms and family owned businesses, which the very back bone of what this country was created on. Seeds naturally adapt to where they are being grown, the more they are planted in the same place the more resilient they become to pests, disease and inclement weather. Seeds, sold from a reputable seed house can offer seeds that were probably grown in conditions where plants are rouged and seed is never harvested from diseased or weak plants. This practice in turns builds strength and purity in a genetic line, assuring vigor in future generations. Choosing seed that has been grown in your local area or in similar climate will assure that the seeds you plant will naturally be more acclimated to your climate and will thrive with your love and attention. This inherently builds regional resilience in the food supply of an area. It wasn’t too long ago that most gardeners and farmers saved the seed from their fields, but with the on-slot of modern agriculture, that ancient practice began to fall away in favor of hybrids and petroleum-based pesticides and insecticides. The chain was broken, but only temporarily. There is a resurgence in returning to these practices, these ways that have been tried and true for thousands of generations and they are reminding us of how things were done. In such a way that is in reverence to the plants and the earth, where a relationship of reciprocity is developed and trusted. One of our main principles, as a small family owned seed company, is for more and more farmers and gardeners to begin to tap back into the beautiful cycle of life, known as seed saving. We believe seeds are not meant to be stored, we believe the most vital seed vault is in your very garden. The living embodiment of life and death, the place where we find ourselves and learn about the nuances of life. There is a strong opposition, happening globally, to reject what is happening in modern ag and the truth is that growing a garden may be one of the most radical acts anyone can do. It directs the energy into what works, locally grown food sourced from your backyard. For those without a yard, supporting local farmers via CSA’s and farmers markets can be as rewarding and powerful. Starting a garden with pure seed is essential in growing a healthy vibrant garden! When folks buy seed from us, we see it as though they have joined our growing family. Where they will received the support they need to assure their plants thrive in the ways that they are meant to! With the amazing response we have received from highlighting our favorite seeds, we have decided to do a seed of the week! The Vermont Cranberry Bean is an extremely versatile heirloom, able to be enjoyed as a snap, shell or dry bean. Originally dating back to the 1800’s from Northern New England, this bean is truly timeless in its taste, texture and appearance! Known as mild bean, that can easily absorb the flavors it is cooked with. This is an excellent bean for West Coast climates that has a tendency towards cooler nights. Interested in trying your hand at seed saving? Beans are one of the easiest crops to start with! Let the plant dry completely down, harvest pods, remove beans and store in an air tight (not vacuum sealed) jar. If rain is approaching and you have not harvested your beans yet, pull the entire plant, roots and all and place in a dry and rodent-free place, until the pods are completely dry. What a wonderful heirloom pole bean from Vermont! Multipurpose, maroon with cranberry stripes, bean can be used as a dry bean with a rich flavor for soups and makes an outstanding baked bean. 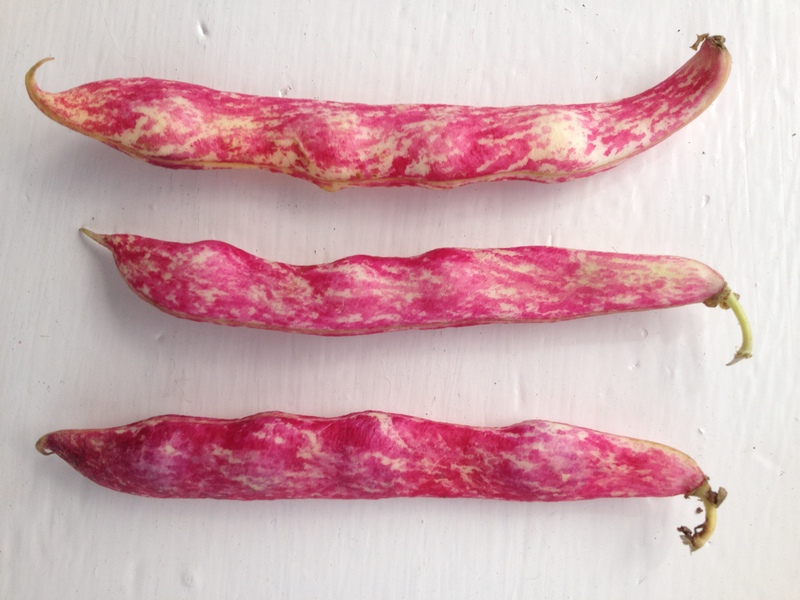 Also an incredibly beautiful pink-striped snap bean and great as a shelly. This bean will do great in cool-weather, short season climates. Dry bean keeps great in storage.